With the turmoil created in the wake of the global financial crisis, the implementation of a robust risk management discipline in financial institutions is now considered one of the most important needs of the moment. 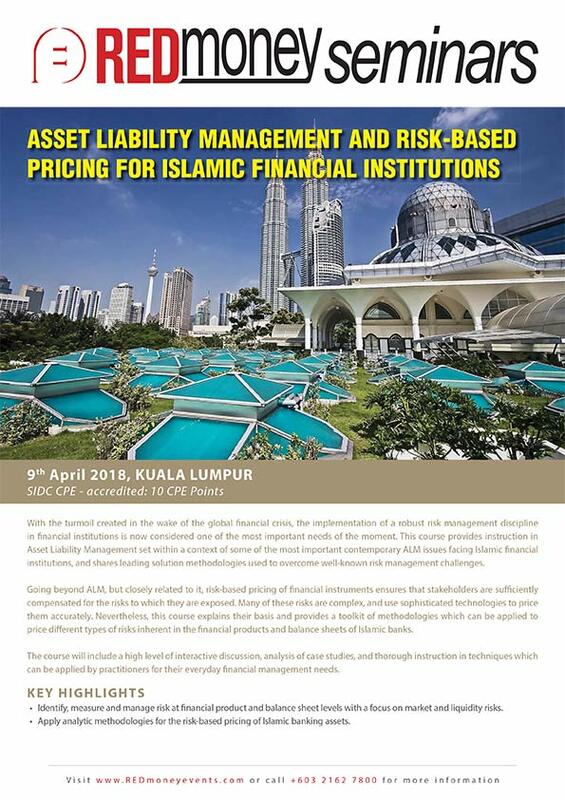 This course provides instruction in Asset Liability Management set within a context of some of the most important contemporary ALM issues facing Islamic financial institutions, and shares leading solution methodologies used to overcome well-known risk management challenges. Going beyond ALM, but closely related to it, risk-based pricing of financial instruments ensures that stakeholders are sufficiently compensated for the risks to which they are exposed. Many of these risks are complex, and use sophisticated technologies to price them accurately. 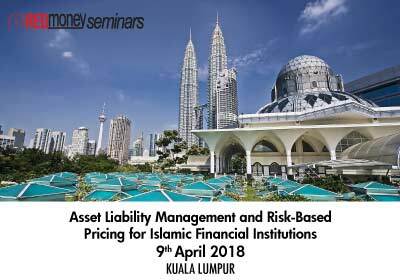 Nevertheless, this course explains their basis and provides a toolkit of methodologies which can be applied to price different types of risks inherent in the financial products and balance sheets of Islamic banks. Identify, measure and manage risk at financial product and balance sheet levels with a focus on market and liquidity risks. Apply analytic methodologies for the risk-based pricing of Islamic banking assets. What are the main differences with conventional banks? What is ALM and why is it important? What are the main risks that ALM deals with? What is special about Islamic Banks that requires a good ALM discipline? How should Islamic Banking assets be funded? How does currency risk arise in Islamic banks? How can it be managed simply without using hedging? Markup risk measurement approachesWhy is the pricing receivables an issue for Islamic banks? What are the implications of not pricing receivables in a risk-sensitive way? What is the role of competition between Islamic banks when it comes to pricing? What are the components of pricing for Islamic financing receivables? How do practitioners currently price Sukuk? Why should Sukuk pricing be risk-based? Dr. Ken has worked as a practitioner in banking and finance for over 25 years in senior quantitative finance and risk management positions. Having graduated from Oxford University with a first-class honors degree in Physics, he qualified as a Chartered Accountant before joining UBS, and then later Credit Suisse, in derivatives risk and control functions based in London. He gained a PhD in the microeconomic theory of risk sharing in Islamic contracts, and worked in the GCC for 15 years in Islamic retail and Islamic investment banks. Dr. Ken built an ALM analytic technology platform for Abu Dhabi Islamic Bank, was MENA Regional Head of Quantitative Analysis for Citigroup, and has worked in quantitative risk management roles for both conventional and Islamic private equity and venture capital institutions. He most recently set up the Islamic Development Bank’s Financial Policies and Planning function, which provides risk and pricing analytic support at product and balance sheet levels. Dr. Ken is currently a senior university lecturer in finance in the UK, has published quantitative finance articles in peer-reviewed academic journals including the Journal of Risk, and taught CFA and FRM in his earlier career. Our team will be glad to answer any questions you may have about this seminar.